Six years ago, I experienced scuba diving for the first time in Anilao, Batangas. Since then, I have been wanting to get my Open Water Certification. Because it was crazy expensive, the idea fell off my bucket list completely. But almost like fate, an offer to try discover scuba diving came and ignited my dream to get certified. 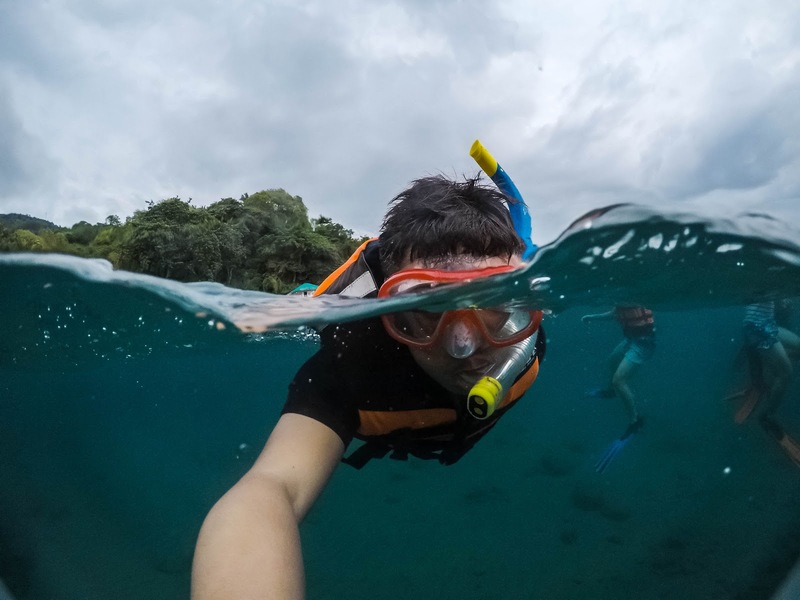 This video summarizes our short Scuba Diving trip at Bus Stop Dive Resort in Bauan, Batangas. Make sure to watch in HD! Enjoy! Thank you so much Bus Stop Dive Resort for making this trip possible! 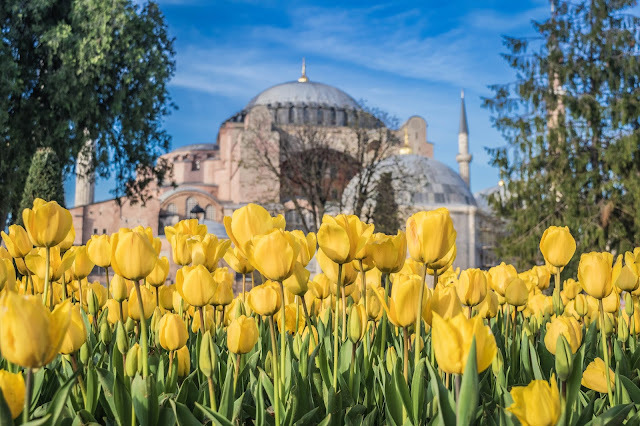 The most commonly asked question from people who are planning a trip to Turkey is this: "Is it Safe to Travel to Turkey?" This is a legitimate question because of two years of political instability and well-publicized terrorist attacks in the country. My friends and family all thought that I was putting my life in danger by visiting Turkey. But is that really the case now? 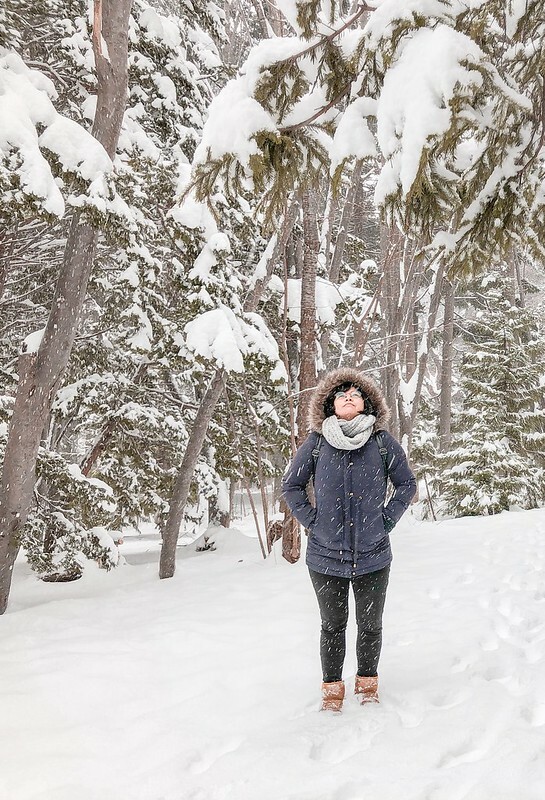 While I postponed this trip for almost two years because of safety concerns, when I finally decided to go, I neither experienced problems nor felt unsafe at any time. Traveling in Turkey for almost two weeks from the cities to provinces was really an eye-opening experience for me. The only country that I haven't felt that I'm an outsider and even though I couldn't speak or understand their language, people were super kind and welcoming. I have no doubt I will make a return trip someday! 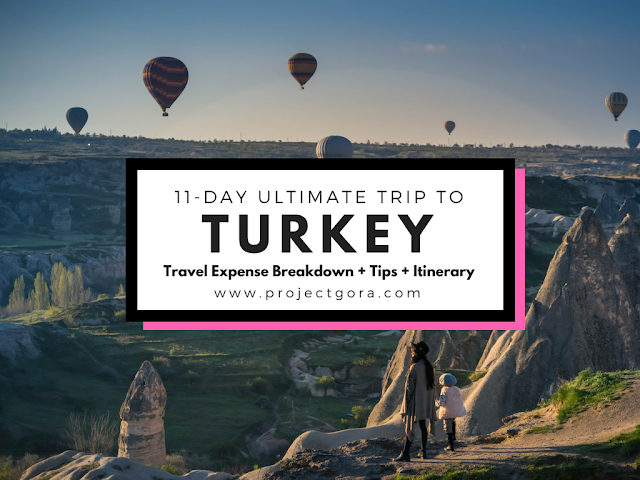 Note: This is my actual itinerary when I recently visited Turkey, so I can attest that the sequence of activities and destinations is really feasible, especially if you have a pocket wifi. The expense breakdown at the end of this post is accurate because I have a travel expense tracker. 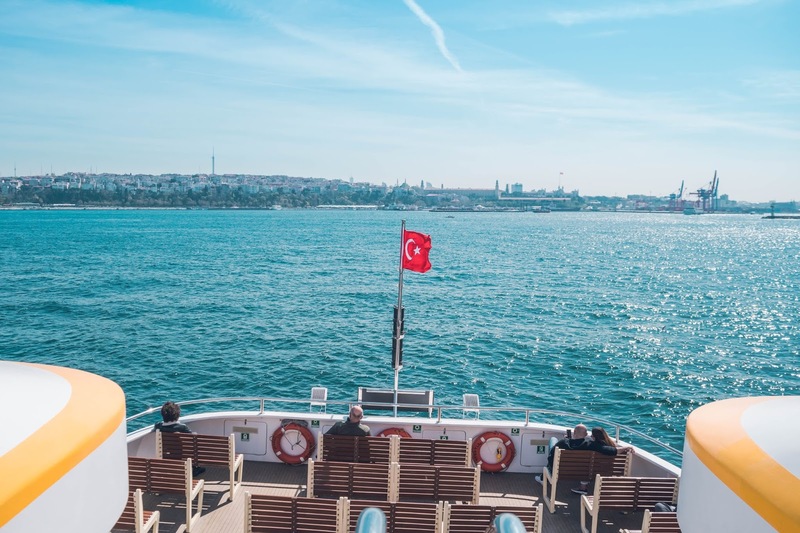 Click here to know how to get a Turkey E-Visa in the Philippines. What usually takes the biggest chunk out of a budget is the price of airline tickets. Tickets from Manila to Turkey are not something I could buy off a CebPac seat sale, they are a massive purchase that I cannot make lightly. I did a hundred mock bookings months before the trip and the cheapest I found is around PHP 34,000. So when Etihad Airways announced a sale to Europe, I did not think twice. I got a roundtrip ticket to Istanbul for only 30,000 pesos (around 35,000 pesos when we applied for a 6-month installment from CitiBank). Domestic flights, on the otherhand, are cheap! One way ticket to Izmir (nearest airport from Selcuk) and Kayseri (nearest airport from Cappadocia) costs 600-900 pesos. You don't really need a seat sale to travel to local destinations in Turkey! Transportation in Turkey are abundant and far less expensive than nearby European countries. In Selcuk, Pamukkale and Cappadocia, getting around is possible by local buses, taxis, dolmushes (shared mini-vans) and trains. To give you an idea, I paid TRY 6 (49 pesos or USD 1) for a train ride from Izmir Airport to Selcuk (1 hour and 10 minutes). The train was like the limited express trains in Japan, which costs around 1,000 pesos for an hour of travel. 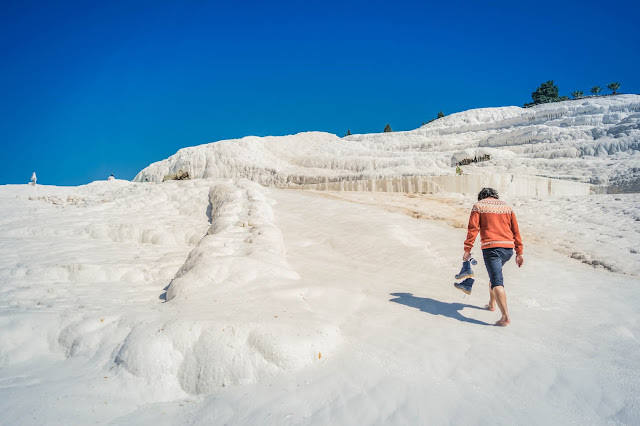 Another example is the overnight bus from Pamukkale (Denizli) to Cappadocia, which only costs TRY 70 (600 pesos or USD 12). In Istanbul, there are numerous modes of public transportation to choose from - trams, trains, buses, taxis, ferries, cable cars, funiculars. Payment in the city is done by one single payment system called ISTANBULKART, a contactless smart card similiar to London's Oyster Card and Seoul's T-Money. For 4 days, I've only spent TRY 55 (550 pesos or USD 9) in Istanbul. Travel Tip: Make sure to stay in hostels with FREE breakfast so you could save some money. Also, you don't have to worry about where to eat early in the morning. Turkish Food was one of the best parts of my trip in Turkey. Just like the cost of transportation and accommodation, food is relatively cheap in both cities and provinces. Just to give you an idea, the average price of food including breakfast, lunch and dinner for one day is TRY 50 (400 pesos or USD 8). 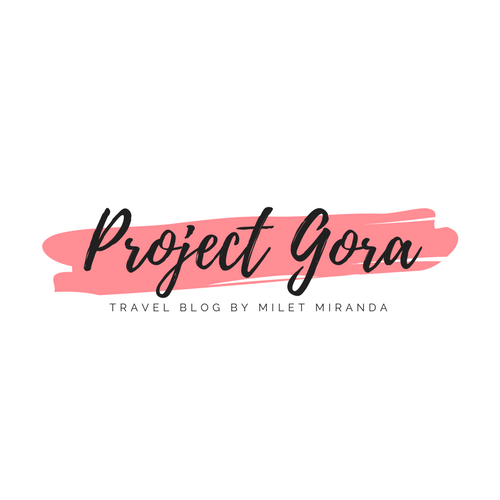 Take a look at the expense summary at the very end of this post and you will see that I only spent 5,912.86 pesos for the entire duration of my trip! Amazing, no? 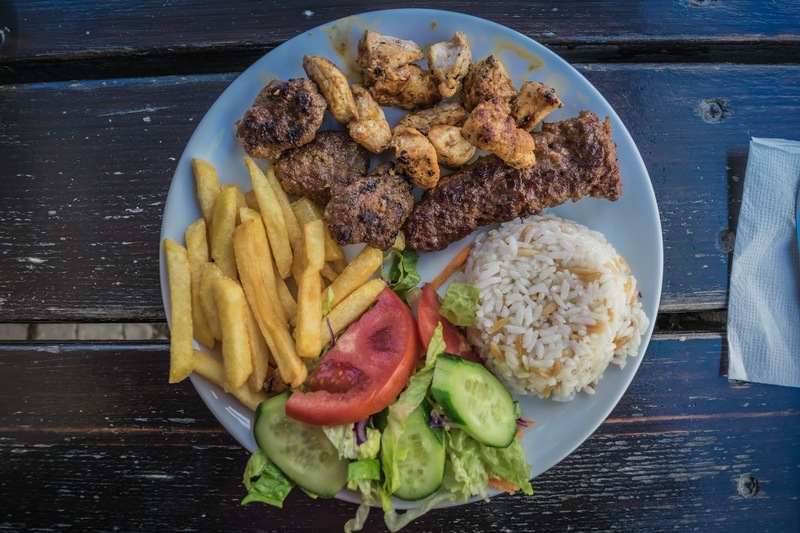 *I did not have any expectations with Turkish Food before my trip, but it certainly became one of my favorites! Because I was so amazed with Turkish cuisine, I joined two food tours in Istanbul! Check out my posts here and here. After 30 hours of travel (3 plane rides, 1 long layover in Abu Dhabi and 1 train ride), we finally made it to Selcuk, Turkey! 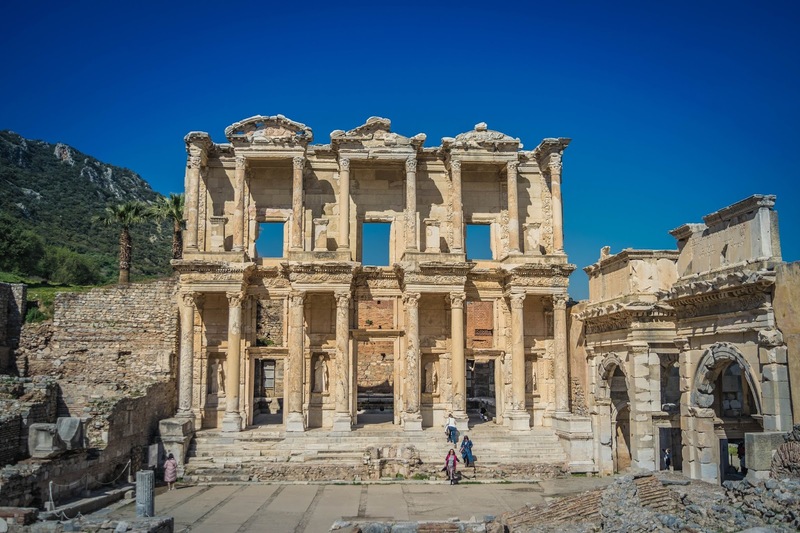 It is the gateway to Ephesus, which is home to the Ancient Roman Ruins. We arrived at around 7 in the evening and totally got lost trying to find our guesthouse because of language barrier. Good thing, we asked a local and he contacted the owner of Ephesus Palace to fetch us. That's a perfect example of Turkish hospitality, don't you agree? :) I will tell you more about how I was overwhelmed by the kind of hospitality we have experienced in Turkey on my next posts. 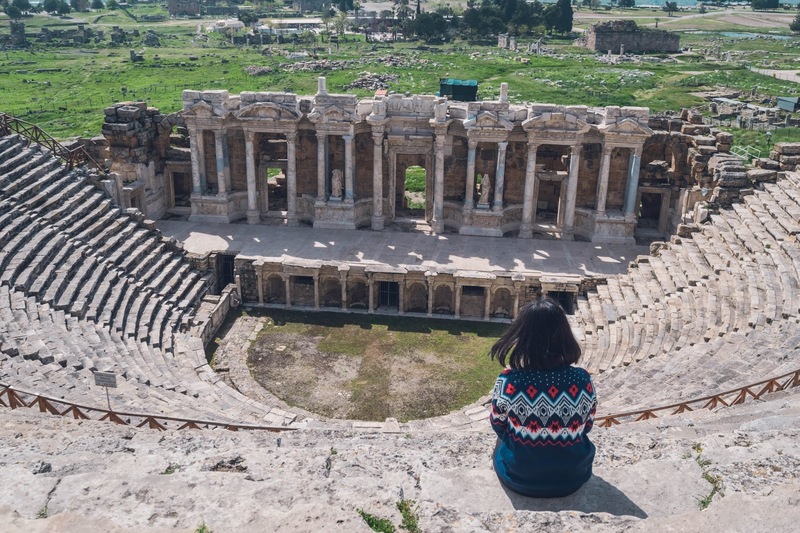 We explored the ancient city of Ephesus on our second day in Turkey. If you are a history buff and would like to learn as much information as you’d like, then hiring a local guide is a must. In our case, we explored the whole archaeological site on our own and just read an online travel guide while we were walking. Exploring it DIY allowed us to stay longer and get that perfect Ephesus selfies (lol!). In the late afternoon, we checked out from our hotel then traveled from Selcuk to Denizli by local train. No reservations required for this train, you just have to check the train schedule in the station and buy tickets from there. See my self-guided Ephesus Tour here. On day 3, we explored the UNESCO World Heritage Site of Pamukkale (meaning "cotton castle" in Turkish) and Hierapolis, an ancient Roman spa city founded around 190 B.C. Our hotel, Pamukkale Melrose Hotel, was located at the foot of the travertines so we never had problems exploring it on our own. In the late afternoon, we check out from the hotel and headed to Denizli Bus Terminal. We bought our overnight bus tickets then headed to Cappadocia at around 9 PM. No reservations required for the overnight bus, just go to the station directly. 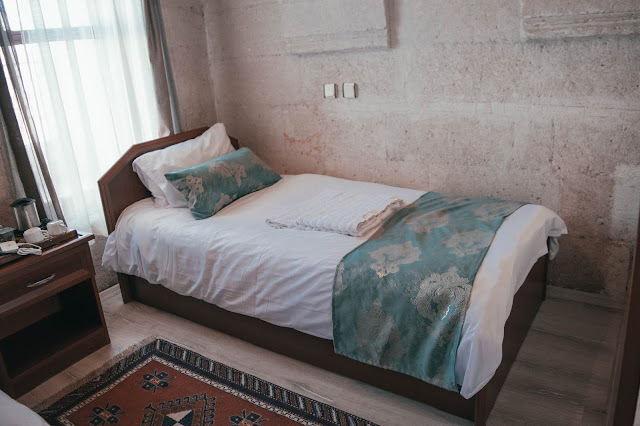 My friend and I were so tired from the long journey from Pamukkale to Cappadocia that we chose to stay in and sleep right after checking in at Guven Cave Hotel. They allowed us to check in at 8 AM! Can you believe that?! Standard check in time there is at 11 AM. Since we woke up late, we were only able to visit the Love Valley and Goreme Town Proper, so we did not spend that much on this day. Pigeon Valley in Uchisar town - one of the best panoramic view of the region. The site also features hundreds of pigeon houses which are built by the ancient inhabitants of the region. Day 6 was our last full day in Cappadocia so we decided to explore it on our own. 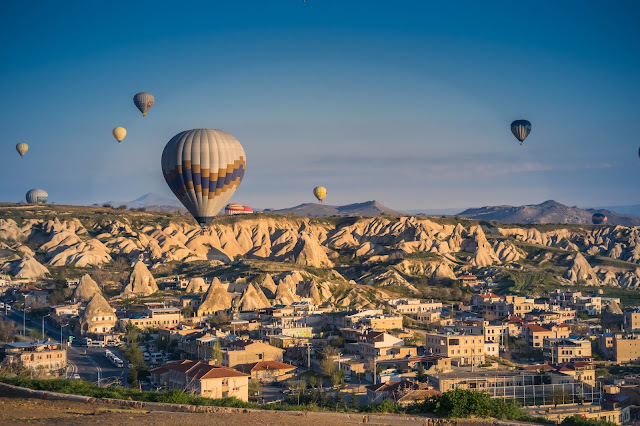 In the morning, we went to the Sunset Point to witness the famed Cappadocia hot air balloons up in the air, which was definitely one of the highlights of this trip. After lunch, we went to Goreme Open Air Museum and explored it DIY. In the afternoon, we just ate and walked around town for some shopping. On day 7, we woke up at 2 AM to catch our early morning flight from Cappadocia's Kayseri Airport to Istanbul's Sabiha Gokcen Airport. We arrived in the city at around 9 AM and decided to explore the Old City of Istanbul or the Sultanahmet area. We were also just in time for the Lale or Tulips Festival. See my post right here. The best thing ever happened to us this day. While we were checking in for our flight to Abu Dhabi that afternoon, the staff of Etihad Airways advised us that the flight was full and they could not accommodate us. In short, we were off loaded. As a compensation, they provided us direct flight tickets from Istanbul to Manila c/o Turkish Airlines, priority immigration pass, airport lounge access and 600 euros each. I pretended to think for a moment but on my mind I was already calculating how much is 600 euros in pesos. Lol! 38,000 pesos sya! The flight was scheduled the next day at 2 AM and we arrived in Manila at 6:45 PM. Just 2 hour difference from our original flight schedule. Amazing! I got my return tickets from Etihad for only 30,000 pesos then I received a compensation for 38,500 pesos, sobrang bawi ang puhunan! My 11-day itinerary was pretty much extensive, don’t you think? :) If you’re curious how much I spent, you can check out my excel file right here. 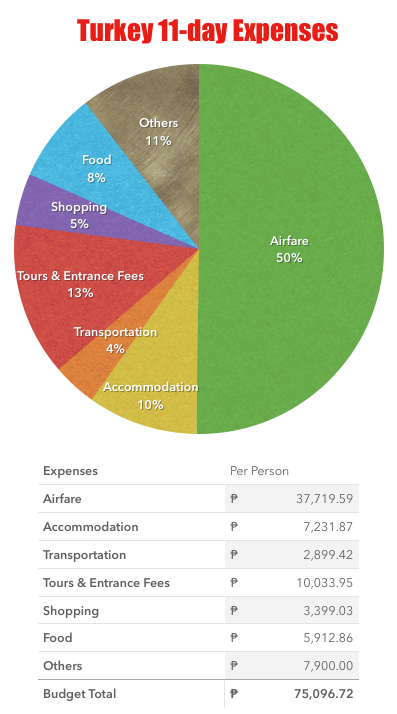 In total, I spend 75,097 pesos inclusive of everything - visa, airfare, accommodation, tours, local transportation, shopping, etc.